Vodka-Infused Watermelon PiecesAdults Only Watermelon! 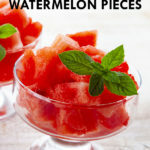 Tired of the same old boring way of eating watermelons? 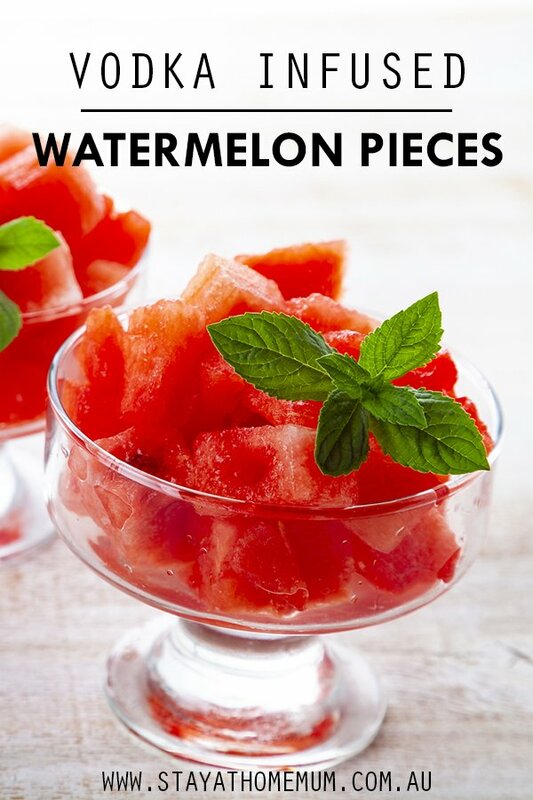 Try something a little different.. like this recipe for Vodka-Infused Watermelon Pieces! Some days I want to eat watermelons but tired of the same old thing, I add a little cheeky twist to it through this recipe. It is a fun way of eating watermelons and more delicious when the fruit is in season! PS. ADULTS ONLY so make sure the kids don’t get their hands on these! It’s the perfect salad for adults and more delicious when watermelons are in season! In a large bowl, add together watermelon, vodka, sugar and mint. Cover the bowl with cling wrap and chill in the refrigerator for 1 to 2 hours.